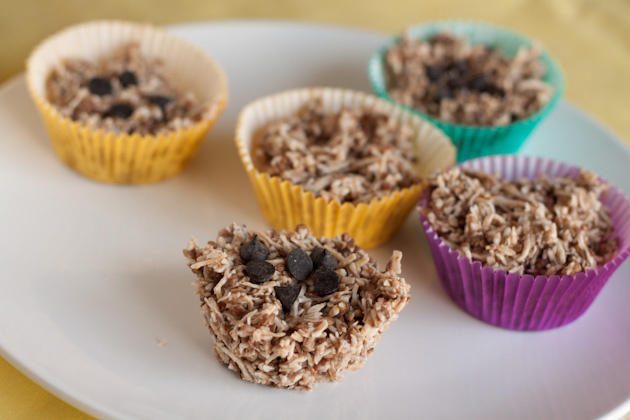 They’re raw, sugar free, high in fiber and absolutely delicious! In a double boiler or a bowl set atop a pot of gently simmering water, melt the coconut butter, oil, and carob powder. Once melted, add remaining ingredients to bowl and stir until combined. 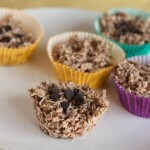 Drop mixture into muffin cups and drop a couple of unsweetened carob chips on top. Stick in the freezer for 10 minutes. Can be eaten at room temperature or from the freezer.